What makes it special: Ford’s Falcon was produced from 1960 to 1970 across three generations. It was a sales success for Ford initially, outselling rival compacts from Chrysler and General Motors introduced at the same time. Falcon was offered in two-door and four-door sedan, two-door and four-door station wagon, two-door hardtop, convertible, sedan delivery and Ranchero pickup body configurations. For several years, the Falcon name was also used on passenger versions of the Econoline van. What made it famous: In 1963, even more models were available. There was now a four-door Futura and a Deluxe wagon. Futura Convertible and Futura Sports Convertible models were also included in the 1963 range. Later, hardtops, and the new “Sprint” model were introduced. Halfway through the model year, the Fairlane’s 164 hp “Challenger” 260 cu in V8 engine was offered for the first time. The Falcon was climbing in trim level from its budget beginnings to get more profit from the line. The only time a V8 option was available in a first-generation Falcon was the 1963½ model, and they were produced in very limited numbers, like the Sprint two-door hardtop and Sprint convertible. These first-generation Falcon Sprint cars were the basis for the 1964½ Mustangs released by Ford one year later. 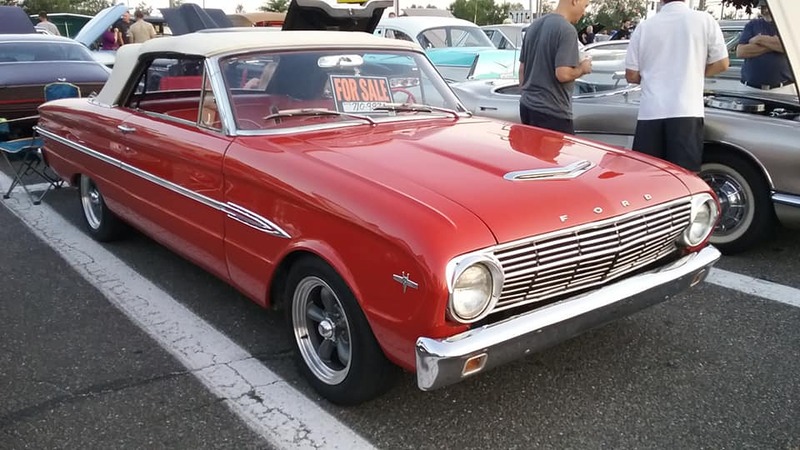 Many of the interior, chassis, suspension, and drivetrain components were derived from those used on the 1963½ Ford Falcon Sprint and/or Fairlane models. Basically, the 1963½ Falcon Sprint is nearly mechanically identical to the 1964½ Mustang while being cosmetically different. Why I would want one: I’ve always wanted a Ford Falcon, at this point any model between the years 1960 and 1968.